The goal of treating a chronic disease is to avoid exacerbating it and to maintain an optimal quality of life. 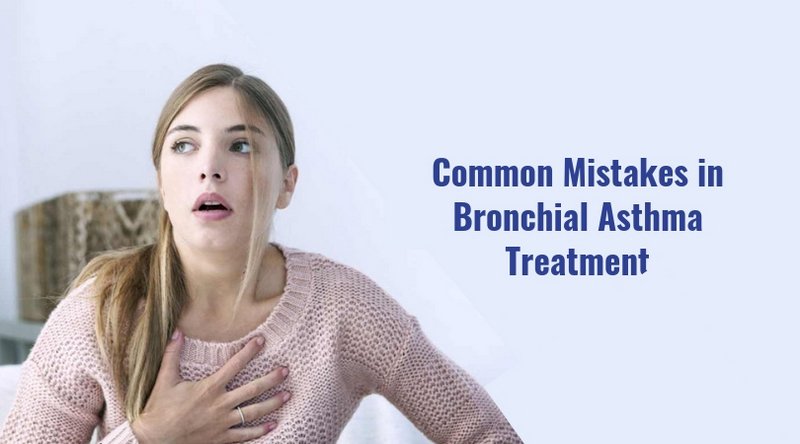 The goal of treating bronchial asthma is to try to achieve complete control over the disease – try to choose therapy so that the patient will not have complaints (attacks of suffocation) or they will be extremely rare. Why there is no control? A common question. 1. The unproper technique of inhalation. Some patients do not open the cap, others forget to turn the dispenser or lower the lever, stop inhaling after pressing the inhaler. Therefore, always take your inhalers on reception so that the doctor makes sure that you are doing ok.
2. No commitment to treatment. What does it mean? The patient, for some reason or belief (for example, steroid phobia – fear of hormones) independently changes the prescribed treatment. The patient refuses treatment. He/she inhales only short-acting bronchodilators and reject inhalation glucocorticoids (“hormones are addictive!”). 3. The inhaler for a particular patient has not been properly selected. We will discuss how to choose an inhaler in another article. As a result, the patient continues to contact with the trigger factor (the allergen has not been eliminated). 4. Not a sufficient dose of basic therapy (inhaled steroids). Asthma treatment has 5 steps, each step is the severity of asthma. The treatment is clearly defined at each step. And if the patient has a medium-severe or severe degree of bronchial asthma and he has a minimal dose of inhaled steroids, then the treatment should be reconsidered (one stage up): prescribe combined drugs, or increase the dose, or even consider the option of adding systemic steroids (prednisolone in tablets). 5. This is not asthma. Yes, it happens. Asthma is a clinical diagnosis, which is made on the basis of complaints to a greater extent. Even if all tests for allergies are negative and spirometry is and normal, but the patient has symptoms that are typical for asthma and there are no alternative diagnoses – a doctor diagnoses the patient with asthma and prescribes medication. What diseases should be excluded? Vocal cords dysfunction syndrome, GERD (gastroesophageal reflux disease), rhinitis and postnatal congestion, heart diseases that can occur with dyspnea, pulmonary fibrosis, chronic obstructive pulmonary disease, sarcoidosis, bronchiectasis, foreign body, lung cancer and others. Which concomitant diseases or conditions can aggravate the course of asthma? Cardiovascular diseases, gastroesophageal reflux, upper respiratory tract diseases (nasal polyps, tonsillopharyngitis), diabetes mellitus, and even depression. In addition to basic asthma therapy, the accompanying pathology should be treated.